Oh, what’s that? You’d like the recipe? This may be the recipe for you if you don’t follow recipes =). First get your minions…I mean, children all washed up and ready to peel peel peel! Next, we took a lot apples and used our handy dandy corer/peeler/slicer to get them ready for the pot. I put many many pounds into my biiiiiig soup pot with a little citric acid (how much I am not sure of). Added some spices (cinnamon, cloves, allspice, ginger. You could use cardamom (YUM!) or nutmeg (NOT A FAN!). And some water & sugar (you could use honey). I used a combination of Cortlands, Johnathan’s, and McIntosh apples -3 of my favs! They can be tart but they are EXCELLENT apples for everything! I let all that simmer for a while until I got the consistency I wanted. Some of it I didn’t simmer too too long and I got apple pie filling. I let some more go and got chunky apple sauce and the rest is smooth apple sauce. I put it all into clean canning jars and processed it all in my pressure canner! Didn’t have to dirty the food mill! I would imagine you could do this in a crock pot too! Oh the smell coming off that all day, if that doesn’t remind you of fall and the holidays, I don’t know what will! You could add butter to the mix while it simmers, I’ve seen recipes use it. You could also use apple juice as your thinning agent. I just used water. These apples are super aromatic and apple-y. We tried “zoodles” for our first time last week and I must say, it’s something we’ll probably do again! Some things -like tortilla chips- are just “carriers” for really good dips. They really are SO simple! I took the julienne blade and put it into my OXO brand mandoline and went to town slicing 2 unskinned medium (9′) green zucchini into long spaghetti like noodles and viola, ZOODLES! There are other contraptions that will make similar noodles in pretty spirals, but my mandoline made quick and easy work of it. I rarely use the microwave but I did nuke these zoodles in a ceramic bowl with a lid on top for about 3 minutes and they are ready to serve! 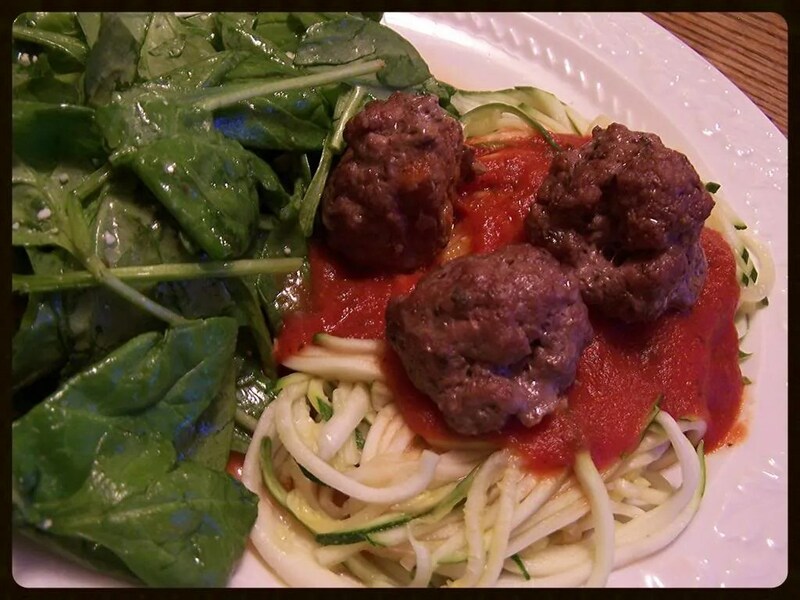 Pair with your favorite marinara sauce…seriously quick, seriously healthy and seriously good! Our pepper plants have been great producers this year. I completely forgot to start tomatillo seeds and for that I kick myself because I wanted them for verde sauce but this sauce, oh my goodness!!! It’s delicious! Roast peppers over open flame or in an iron skillet until well blistered, their color will lighten some, they’ll become charred. Put into paper bag and seal or into a stainless steel bowl that you have a lid or cover for. Allow to steam until cool enough to handle. Once cool, they’ll slough their skin fairly easily, remove seeds and as much skin as you choose (some do this under water, some do not, the choice is yours). Dice one medium white or yellow onion and skin 3-4 cloves or garlic and smash, put into large pot with some olive oil (1/8 cup), over low/medium heat saute until tender, add roughly chopped peppers & flour. Stir to coat. Add chicken stock and let it all come to a slow simmer, the stock should thicken some due to the flour. – you could omit the flour completely and allow the blended peppers to be your only thickener-. Let it simmer for 10 minutes or so and place in a blender or use a stick blender to blend it into an oblivion. Funnel into canning jars and preserve or freeze. Should keep for 4-5 days in the fridge. This can be used for pork verde, for enchiladas or as a salsa! It’s delicious with chips and I am not a bit sad at all that there wasn’t any room left for this small pint jar in my pressure canner! Enjoy! Hummus…Mmmmmmmmmmm…hummus! Oh deary me how I love me some hummus!! What’s better? It’s good for you! Now, what you eat it WITH may not be great but hummus in and of itself is quite good for you! We had a “whatever dinner” with friends the other night. Neither of us could think of exactly what would be on the menu so I just told her to bring whatever, I’d make whatever too and we’d eat…well, whatever! I suppose it could be potential for a dinner disaster but when you plan several easy dishes that would meld well with another, there’s great potential! More on that another time. In a blender or deep wide mouthed jar (I use an emulsion blender), blend up your chick peas, tahini, lemon juice and garlic. While blending, add your olive oil in a constant stream. You may prefer more or less olive oil than what I’ve noted. Once the chick pea/oil mixture is well blended and the mixture is flowing through the blade well, taste and add salt to your liking. I find beans usually always need a generous helping of salt. I usually can’t get it as smooth as what comes pre-made from the store but I also don’t have an extrusion blender machine either. The emulsion blender does a fine job though. You may find it’s not enough stuff for your blender to get a good emulsion, in that case, you may have to make a double batch. I’ve tried making it in a blender before and I just couldn’t get the oil to emulsify well enough, I just really prefer the emulsion blender for the task. That’s it! You can eat it room temp. or cold. It will solidify some in the fridge. What do you eat it on? Weeeeeell, I made homemade wheat flat bread but the possibilities are practically endless: pita chips, tortilla chips, tortillas, spread on bread instead of mayo or in addition to (I’m thinkin’ Reuben sandwich! 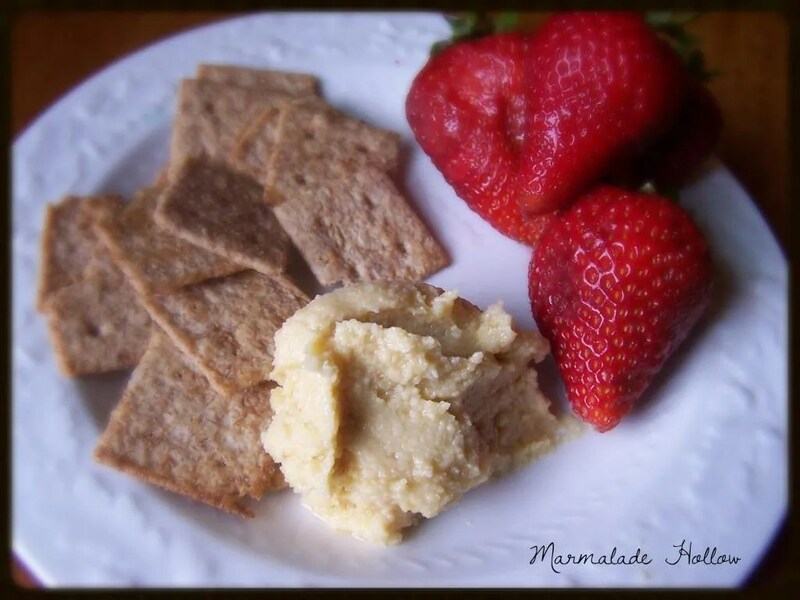 ), crackers, a dip for veggies or, if you’re like me, sometimes I eat it off a spoon like peanut butter! There are so many additions too! You could leave out the garlic if you’re not a garlic fan, you could add roasted peppers, spinach, cheese, Kalamata olives, sun dried tomatoes, zucchini, avocado, spice it up with roasted chilies! Heck, you could even omit the chick peas and make it with black beans and add cilantro…it wouldn’t be traditional hummus but I won’t tell! Wouldn’t that make a tasty wrap? 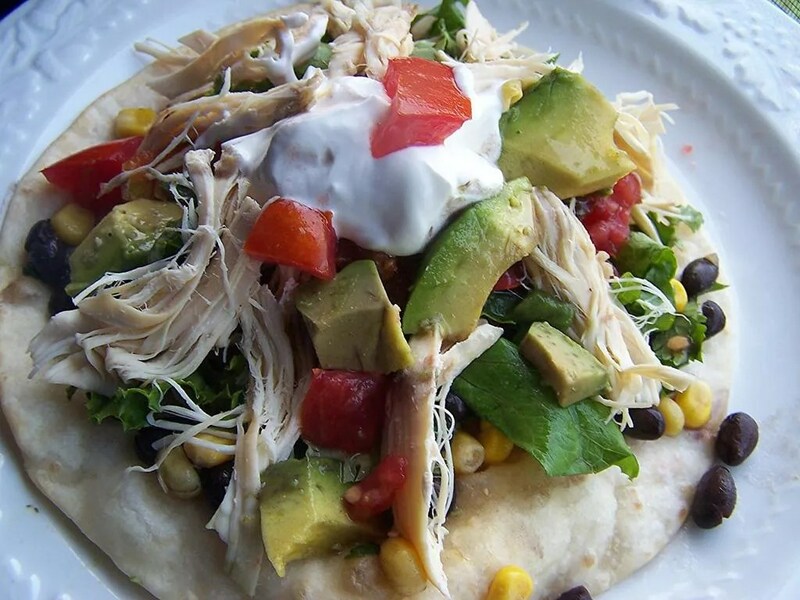 It’s a recipe that’s open to a lot of interpretation and a great way to get your protein, fiber, vitamin B-6, iron, etc. It’s low in fat and high in taste! Preheat oven to 375 and lightly grease muffin tins. Sift flour, baking powder, baking soda and salt in medium bowl. In a small bowl or measuring cup, mix lemon juice and extracts. In a medium size bowl cream butter and sugar with a hand mixer. Add eggs one at a time until fully blended, add yogurt/sour cream, blend . Add lemon juice/extracts, blend. Add lemon zest and food coloring (optional), blend. FOLD dry ingredients in to wet ingredients in 1/3’s blending only until incorporated. Do not over-mix or your muffins will become tough. If it looks like your batter is too dry, add milk a little at a time until desired consistency. Batter should be thick, but not dry. If you’re using a sweetener like honey, you may not need milk at all. until lightly browned or when gently pressed on top, muffin gently springs back. Allow to cool about 5 minutes in tins. Pop them out of the tins and allow to cool on wire wrack or cutting board until warm. Measure remaining sugar in to small bowl. Melt butter and brush muffins. Gently roll muffins in sugar. Alternately you could dust with powdered sugar omitting butter and granulated sugar. We love soup, even in the summer, but especially in the fall and winter! A good soup with crusty home made wheat bread, YUM! It’s amazing how many meals you can get off of a single chicken if you plan it right. Granted, it all depends on how big your family is and how big your boys kids are. With our family of 4, I can generally get 3-4 meals off of a single chicken. Even when you’re baking a chicken you can take the bones and make stock from them after it’s been cooked and the meat removed! I’ve tried this with turkey carcasses numerous times but I’m not a big fan of turkey stock. 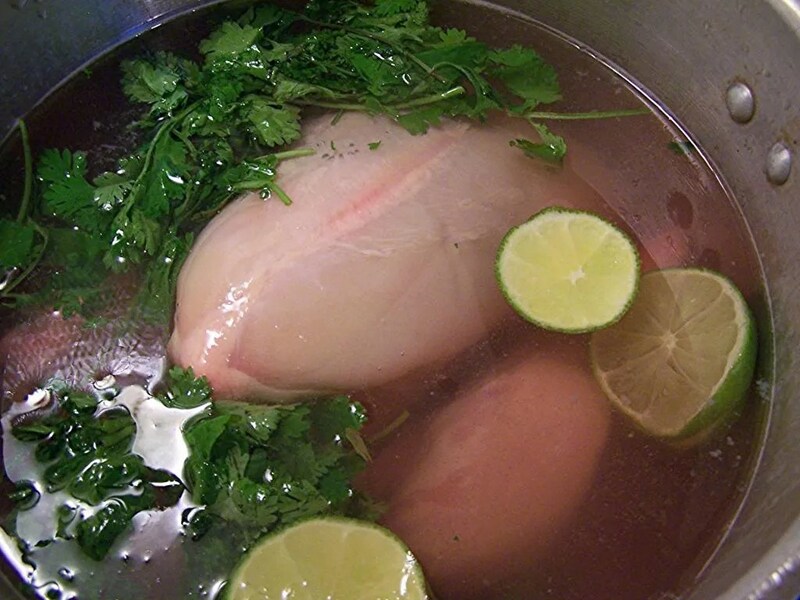 I used to add my whole chicken to a pot and simmer it for a long time. When we run our wood stove in the winter I still do this in a great big stock pot with some onions, celery, carrots and herbs and the house smells simply divine. But in the summer, running the kitchen stove any longer than necessary isn’t exactly my idea of a cool time, and you can forget about the wood stove =)! Many years ago I bought a huge pressure cooker specifically for canning. My Grandma had a smaller pressure cooker she rarely used and so I decided to give it a try for meals. It was love! I immediately went out and bought myself an 8 quart (2 gallon) size for regular means and we never looked back. Making super tender roasts in a hurry, pulled pork, soups, beans, the list is endless as to its uses! Using the pressure cooker is my absolute favorite way to make chicken stock! At 15 lbs. of pressure it takes about 45 minutes to make gorgeous stock with every ounce of goodness from the bones removed and I have meat that falls right off the bone! For chicken pot pie, I simmer my gravy and ingredients, add my cooked shredded chicken at the end and it tastes as if it had simmered for hours to develop deep complex flavors! Truth is, I use the chicken broth to make my gravy, it’s like a 30 minute meal! I wish the photo above captured the pure beauty and true yellow color of the stock in real life but I honestly don’t think it comes close. I have made stock in a crock pot and electric dutch oven and it does an OK job but for speed, outstanding chicken flavor and ultimate tenderness and quantity, I really feel the pressure cooker gives me the absolute best stock! Generally my meal uses the chicken meat in the first meal then I will put strain the broth through a new milk filter (I have tried coffee filters, it’s an absolute mess waiting to happen) into 1/2 gallon canning jars (I usually get 1+ gallons from the size of my pressure cooker) and put it in the fridge for use in a day or two. The fat floats to the top, I skim it off and I have virtually fat free broth to use to make outstanding soups! If you have not tried a pressure cooker to make broth, you might like to try. For that matter, if you haven’t tried a pressure cooker, it’s a kitchen tool I couldn’t be without!